Fly to the Antarctic and sail on our 12-passenger ship to experience the Antarctic Peninsula’s incredible vistas and abundant wildlife. Led by exceptionally experienced and knowledgeable expedition guides and crew, you will travel among curious penguins, whales, and mountainous scenery during 12 full landing days. You will benefit from the ease and flexibility of getting such a small number of travelers ashore. Conditions permitting, we will focus on areas completely out of range of larger tour vessels, so your time in nature will be unrivaled as you explore in quiet serenity. You’ll also avoid the very challenging potential of crossing the Drake Passage that has for so long limited operations of small vessels. This expedition offers a great depth of exploration and unsurpassed experiences for an intimate group, while enriching your understanding of the Antarctic ecosystem through substantial participatory citizen science. You will travel south along the picturesque Danco Coast on the west coast of Graham Land, which has aweinspiring scenery with coastlines deeply indented with bays. Impressive mountains rise sharply from the coast to the central Graham Land Plateau and glaciers descend to narrow piedmont ice shelves. Extensive Zodiac cruising and opportunistic landings during the best light will allow us to soak in the serenity of this majestic place. Costs are per person, double occupancy, not including airfare (except flights listed as included), singles extra. See Included and Not Included sections for more details. We reserve the right to charge for cost increases that occur between when we set tour prices and the date of travel, for example, changes due to the cost of lodging and transportation. If you are a single traveler and you desire, we will find a roommate for you. If we cannot find you a roommate, we will not charge you a single supplement. If space is available, some cabins can be booked for a single occupant by adding 90% over the listed cabin cost. Single rooms are subject to availability. 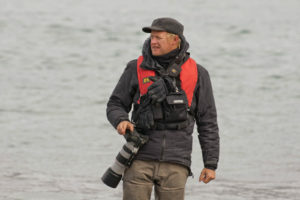 Charter flights on January 4 and January 17 between Punta Arenas, Chile and King George Island, South Shetland Islands. Accommodations (double occupancy) in Punta Arenas for the nights of January 3 and January 17. 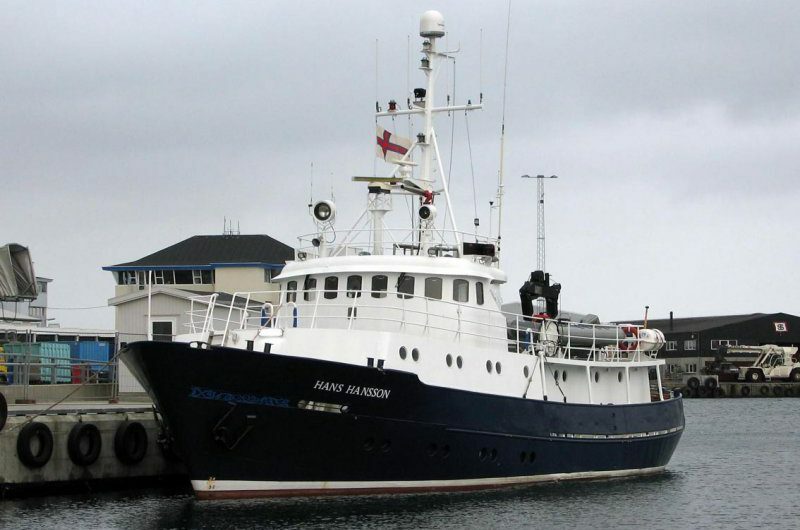 Thirteen nights on board the Hans Hansson. Meals from breakfast on January 4 through breakfast on January 18. Airport transfers to and from Hotel Jose Nogueira regardless of arrival and departure day plus transfer to and from Punta Arenas airport for the charter flight on January 4 and January 17. Gratuities for the ship’s crew. Tipping is, of course, discretionary, however we suggest budgeting $10 to $15 per participant per day for January 4 to January 17 aboard the Hans Hansson ($140 to $210 total per participant). Flights you (or a travel agent) book: Arrive in Punta Arenas, Chile (PUQ) by 12:00pm on January 3. Depart from Punta Arenas, Chile (PUQ) anytime on January 18. In addition to travelling to unique, amazing, and remote destinations, our voyage advances the scientific understanding of ecosystems we care about. Active research will be conducted on board to help contribute to the ongoing Citizen Science Projects – FjordPhyto and Happywhale. As a participant, you will have many opportunities to collect samples, make observations, record data, and learn about the research and mission of these projects.